Real Madrid boss Santiago Solari has announced his squad to face Valencia, and there is no Marcelo or Toni Kroos available to him. The Spanish giants secured a win over Roma in the Champions League in midweek to raise confidence, but that followed a disastrous 3-0 defeat to Eibar last weekend. In turn, they remain in sixth place in the La Liga table, three points adrift of the top four and six points behind league leaders Sevilla. With that in mind, they can’t afford to drop more points and slip further off the pace, but it will be a difficult test against Valencia. That’s made even trickier after neither Marcelo nor Kroos were included in the 20-man squad for the encounter, as seen in the club’s tweet below, with Goal.com noting that both influential figures are struggling with injuries. 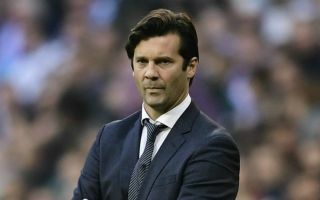 As a result, it remains to be seen who gets an opportunity in their places, but a win is still the most important thing as Solari looks to get back to winning ways domestically after making an impressive start to life as Real Madrid boss after the sacking of Julen Lopetegui. As noted in the tweets from fans below, many were left questioning the absence of Marcelo and Kroos, while others were hopeful of seeing Keylor Navas regain his place in the side at the expense of Thibaut Courtois.